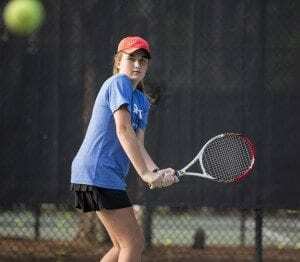 Hayley Carter won the 2013 Dunlop Junior Championships held February 16th and 17th in Daniel Island, South Carolina. 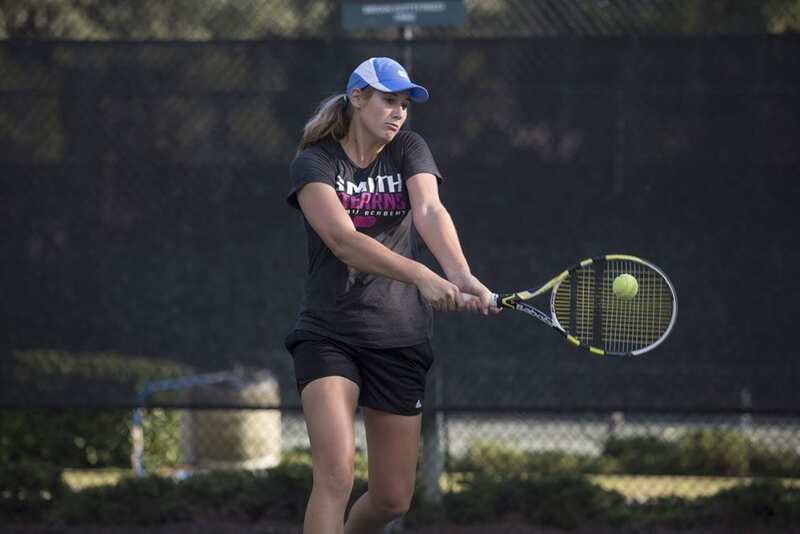 The southern level 3 event doubles as a wild card tournament for the girls 18 and under, with the winner earning a qualifying wildcard into the WTA’s Family Circle Cup. The tournament always has a strong field as all the girls are fighting for that one wild card spot. Hayley beat three top players all on Sunday (due to the rain), to take the title. In the quarterfinals, Hayley beat blue chip and #9 ranked senior Sydney Campbell, 6-0,6-3. The semifinals she battled through to beat blue chip and #5 ranked junior Josie Kuhlman, 7-6,3-6, 1-0. In the finals, in a match held at 7:00 pm at night in the cold weather, Hayley fought through the conditions and another tough opponent , Taylor Davidson, the #7 ranked senior and future Stanford player, to win the tournament and claim the Family Circle Cup wild card. Carter won the final match 4-6,6-4, 1-0 defending her title from last year. 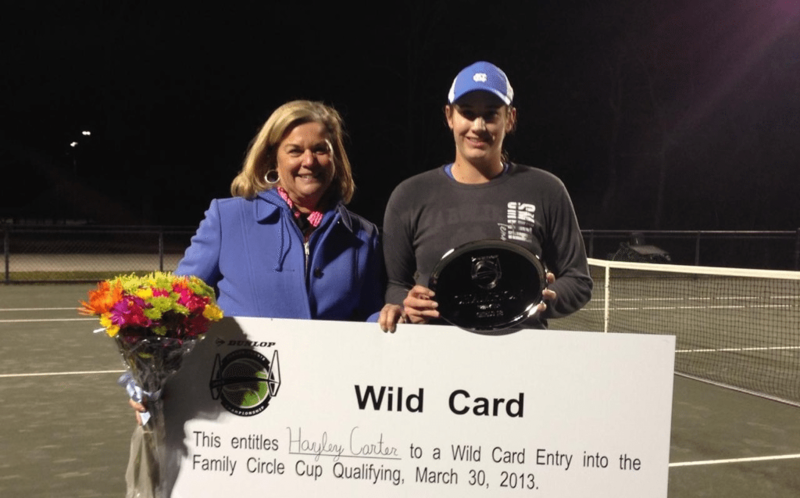 Hayley Carter will play in the WTA’s Family Circle Cup qualifying rounds on Saturday, March 30th. We encourage anyone in the Smith Stearns family to watch her play in Charleston and wish Hayley the best of luck! In other Dunlop Junior Championship highlights, Grace Kennedy was a finalist in the girls 12’s red flight. Sara McClure placed 3rd in the same flight. Kyle Barr and Alexander Jones each placed 3rd in their draws (red and white). Ali DeSpain placed 3rd in the girls 14’s white draw and Kate Christsensen placed 3rd in the girl’s 16’s red draw. Julie Clark and Allie Burak were consolation finalists in the girls 16’s red draw while Cameron Kriscunas and Mary Hampton McNeal were consolation finalists in the girl’s 16’s white draw. Ariel Shulman won the Mississippi Junior East State Championships held in Laurel, MS, from Februray 8-10. She captured both the singles and doubles of the girls 18 and under division. Caroline Williams placed 3rd in doubles at the Mid Atlantic girls 18 and under designated. Kate Christensen won the girls 16 doubles title of the Bullfrog Designated held February 1-3 in Baton Rouge. Kyle Barr made it to the semifinals of the singles in the boy’s 16’s division. Elle Christensen was a doubles finalist in the girls 14’s Bullfrog Designated in Montgomery, Alabama. Conrad Alford won the doubles and reached the semifinals of singles in the boys 12’s in the St. Andrews Point Quest Tournament held in Charleston from February 1-3. Congrats to all of our students for their awesome results!